We are the professional manufacturer of heat transfer film,machine and in mould label, with the high quality and pretty competitive price. Taizhou City Liyang Package Co.,Ltd. Located in Luqiao District in Taizhou City, the Chinese capital of Small Commodities. 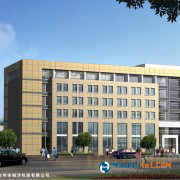 Our company was founded in 2000, now it covers more than 15,000 square meters. It’s now staffed with 130 employees, including 38 professional and technical personnel of various specialties, possessing strong technical forces. LiYang Package has passed the certification of ISO9001:2000 Quality Management System, thus providing a powerful guarantee for its sustained rapid development.